1 minute. Honestly. It will take you longer to watch this video than to make this recipe. Condiments overflow my fridge. Right now, ten kinds of hot sauce, five specialty mustards and three types of salsa line the inside doors. The shelves are sparse though. The Hubs and I share food control issues. If it’s there, we eat it. Keeping food in our house is hazardous to our health. So instead we indulge in condiments. Our fridge was missing out on mayo for years though. I could never find a store-bought brand that satisfied my criteria. Most contained soybean or canola oil. Go read the label of your store-bought brand. What’s in it? If it says soybean, toss it. You can find out all the oil facts in this past post. 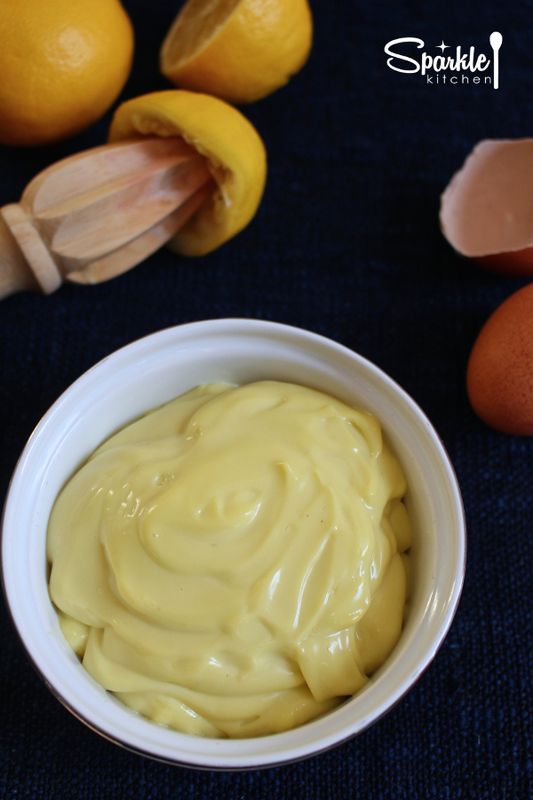 Making mayo can be a complicated science experiment. Julia Child’s famous recipe accounts for whisking precision, perfect temperature, a full moon and all the stars aligning to create the emulsion magic. I do not have the patience for that. Sorry Julia. Then I discovered another kind of magic, the immersion blender. Thank you, technology! Olive oil is my choice for mayo. But that’s because I can never get enough of it’s robust flavor and I like it’s nutritional profile. If the taste is too pronounced, you can neutralize it by replacing half the oil with avocado oil. This version will be more similar to the store-bought jars. I must caution against using coconut oil though. It was one of my failed attempts in this recipe trial! My fridge now includes a permanent place for mayo to be among it’s fellow condiments friends. 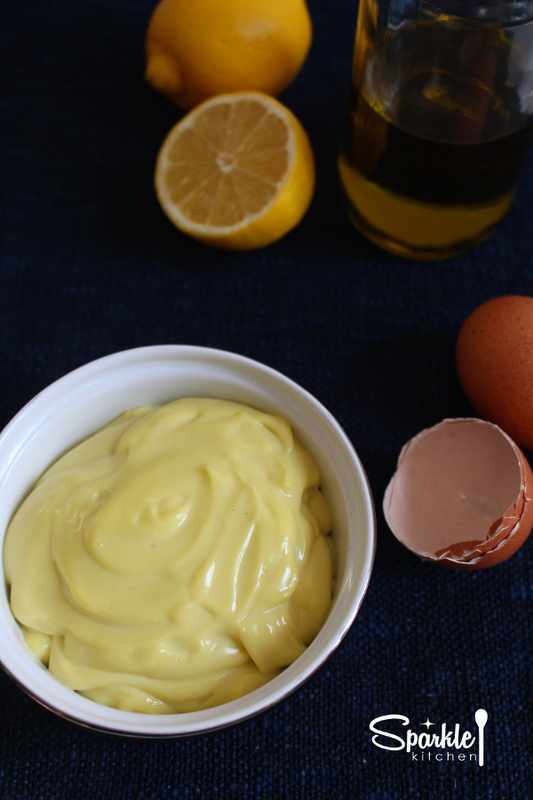 1 Minute Mayo made with Olive Oil, salt, lemon and egg. Place all ingredients except the egg in a 2 cup measuring cup. Then add the egg and wait a few seconds. You want to make sure the yolk is resting at the bottom of the jar. Insert the immersion blender into the jar so that it touches the bottom. Now turn it on and watch the magic happen! It almost becomes creamy instantly. Move around the blender so you get all the sides incorporated. Store in a mason jar and keep it in the fridge for up to 2 weeks. Make some homemade fries and use the mayo as a dipping sauce. I’d love to hear how this recipe works for you. Please share with me below!